Some films tell a story. 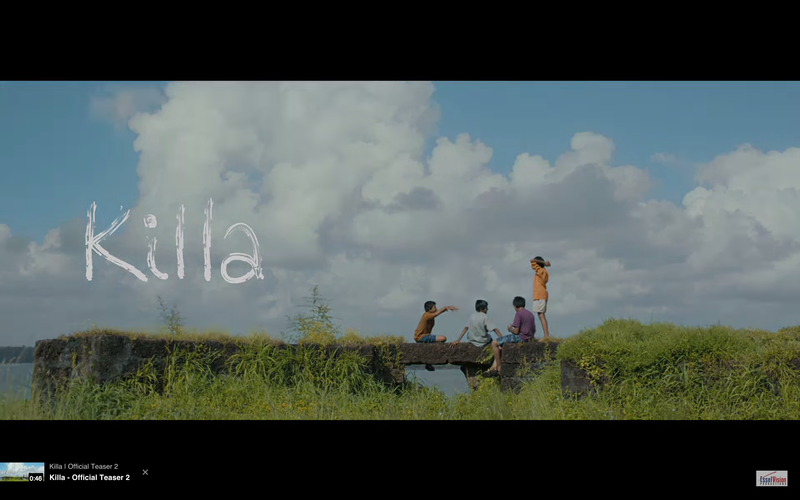 Some share an experience; Killa is one such film. Chinmay Kale, the eleven year old protagonist is reluctant to accept the latest chapter in his life. Barely after he has lost his father; his mother is transferred to a sleepy coastal town. Chinmay has no friends, he is now away from lively and comfortable Pune. It is a lonely beginning for Chinmay in his new school. His mother (Amruta Subhash) wants Chinmay to adjust to the new environment and move away from the trauma of his tragic loss; but even she is lonely and feels out of place in her office where corruption is a norm. The film begins with an interesting shot of a small pathway leading through an orchard. Lush green and serene but equally lonely and cold. 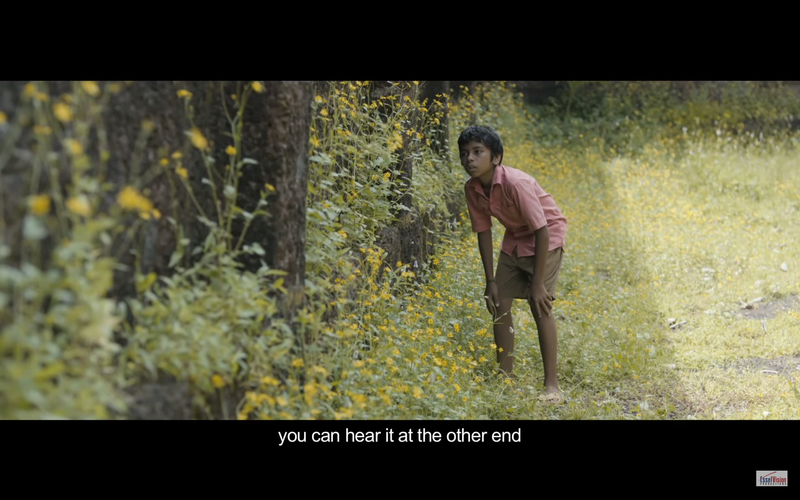 What I like about the new Marathi films is that they do not hang in confusion of abstract settings. 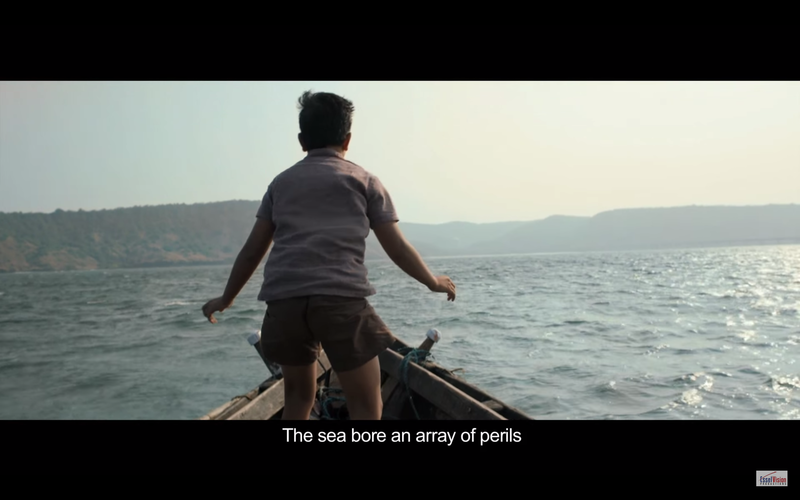 When a story unfolds in Konkan; the sea, mango orchards, coconut plantations play a part in the film too. I enjoy watching films made by cinematographers. I am not saying they make better films. In fact often a cinematographer turned director gets lost in the world of pretty images and the storytelling suffers. But I must say that Avinash Arun has handled his directorial debut in a very mature way. Killa is not just a visual experience, every image has something to say and add to our understanding of Chinmay Kale’s world. 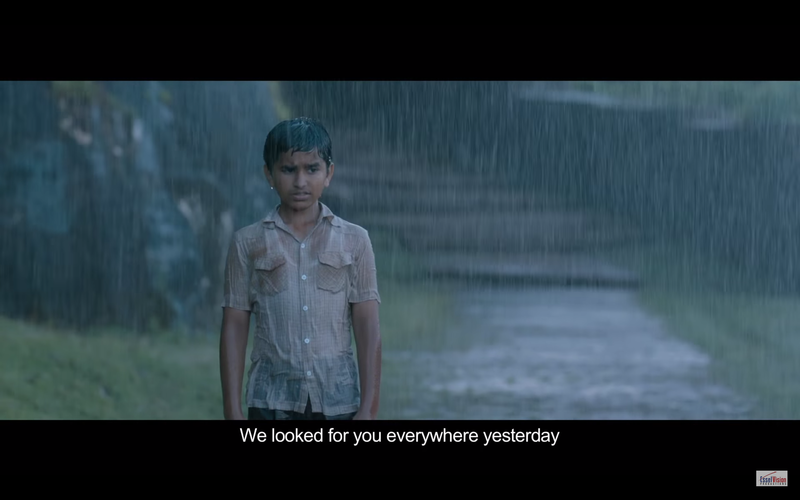 I have seen Avinash Arun’s short montage Monsoon Moods and it certainly shows his ability to see things differently. The new age Marathi cinema has often been accused by a few of trying to deceive people with poetic, postcard images but I do not agree with this charge. For an audience bombarded with fake studio world images seeing the real world on silver screen is a refreshing change. If one sees this from a designer’s perspective; each visual metaphor plays a part in the storytelling. Having lost his dear father.. Chinmay has to now deal with a new town, new school, make new friends. There is very little he can feel comfortable about. This is a state of mind. We identify and relate to the character if we feel empathy and can experience the same feeling. Chinmay’s interaction with the nature around him unfolds the storm brewing inside his mind. If we look back into our childhood, there are happy and innocent memories alright …. but there are moments of loneliness, uncertainty and emotional dilemma. The mind is full of disturbing questions, no one has answers for. Avinash’s Chinmay Kale becomes real and relatable because of clever use of visual semantics. Does Killa have a story? Does it have a typical beginning-conflict point-resolution graph? Well it depends on how you look at this film. I would say – it is an experience. It is like a diary of this 11 year old boy. He is not small enough to not understand the loss of his father but not big enough to come to terms with it. Here in the film he is trying to assimilate with a group of friends who are quite different from him. He joins them for a cycle race and even beats the boss of the group Yuvraj. 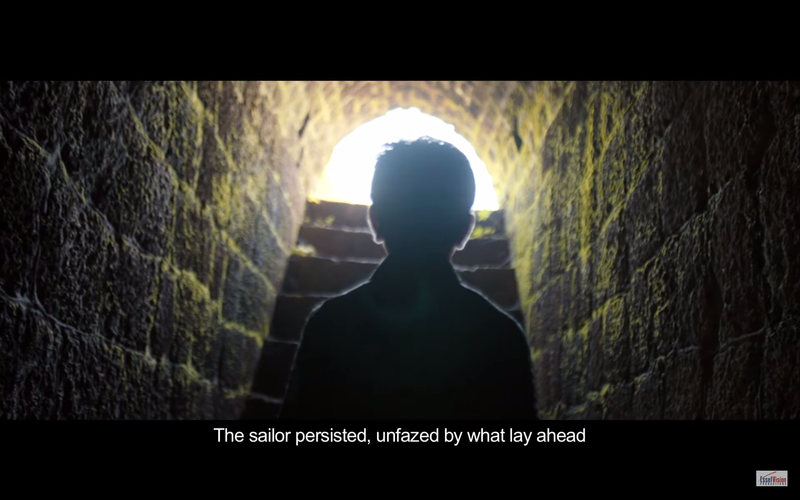 Chinmay wanders off to explore the fort and takes shelter inside a citadel when a thunderstorm strikes only to realise that his friends have left him alone. But in this moment he faces his loneliness bravely. We do not know if this was a confusion or a deliberate desertion …. It is left to our interpretation. His mother is battling the loneliness too. Trying to cheer Chinmay up, motivating him to get used to this new place. But she has her share of struggle too. She is a law fearing clerical staff working in perhaps the local land records office and gets drawn into a corrupt decision under pressure. Chinmay sees his mother stare into vastness of the sea and cheers her up. Kids who go through a lot at such an early age are often far more mature. However, behind that facade of mature behaviour there are lot of unseen, unexpressed emotions. Killa captures this world beautifully. Good casting and performances have definitely made this film a gripping experience. Archit Deodhar portrays the protagonist with freshness and innocence and Amrita Subhash plays his mother with ease. These two main characters are supported ably by many others… especially the kids. Bandya played by Parth Bhalerao adds wit and naughtiness to the story. The only thing perhaps could have been different was they way these kids talk. 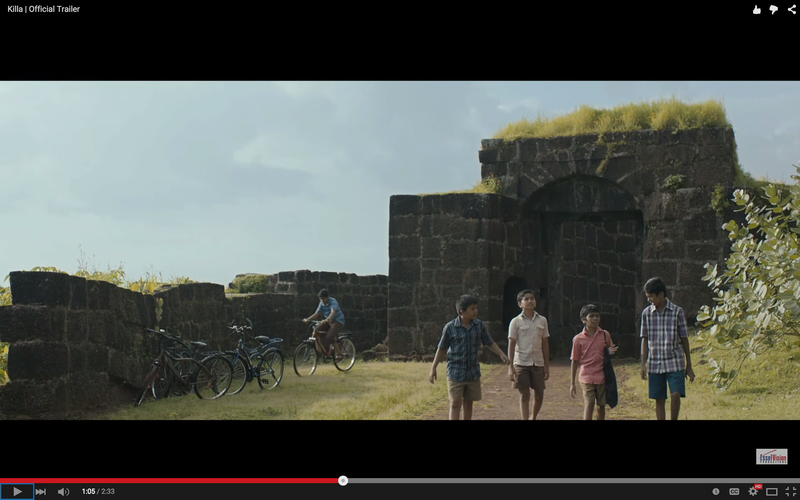 While the story takes place in Konkan, these kids are talking more in Satara-Kolhapur lingo. Chinmay is trying to find solace in the nature around him. He spends moments of solitude on the seashore. His is mind is full of disturbing questions; but slowly and surely he is looking for answers. He decides to venture into deep sea with a local fisherman and even tastes fish barbecue for the first time. There is very little conversation in this scene but a lot is said and understood by Chinmay as well as us…. I dont think my words can describe the depth of this scene; it needs to be experienced. Will Chinmay be able to have a peaceful closure? Will he be able to win back his friends? Has he found a new comfortable home in this sleepy coastal town? You need to see the film to have your own answers. 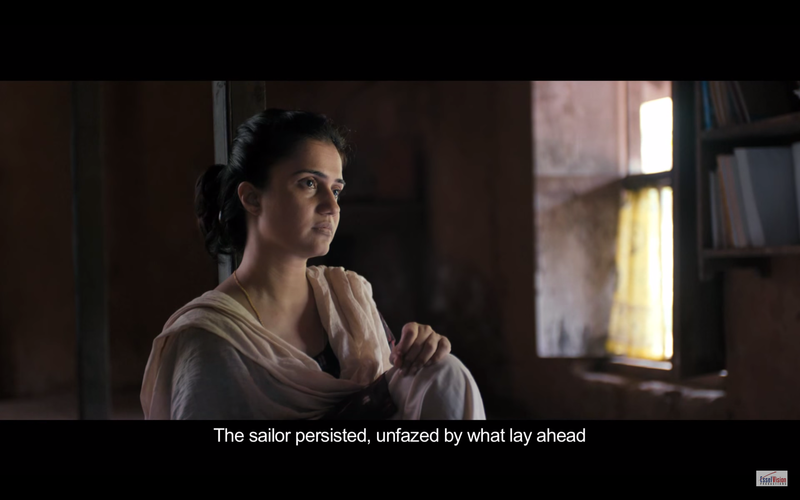 Avinash Arun must be congratulated for a simple, honest yet profoundly experiential film. There are subtitles too, and the film is more visual than dialogue driven …so language would not be a barrier. Do watch this simple, genuine film. 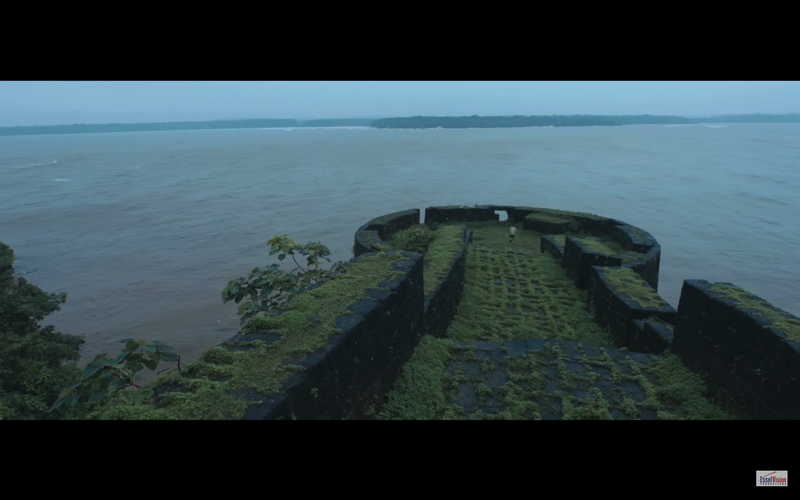 The film is shot wonderfully in Konkan around Guhagar, Ganpatipule and Fort Vijaydurg. Images in this blog are video grabs from the official trailer and the monsoon moods video was uploaded by the director on youtube.